Check back in October for 2020 Global Summit applications. Inspired by the incredible work being done across five continents, HRC launched its inaugural Global Innovative Advocacy Summit in March 2016. Over fou years, the Global Summit has brought together 125+ established and emerging advocates for the exchange of ideas and practices for advancing LGBTQ equality. 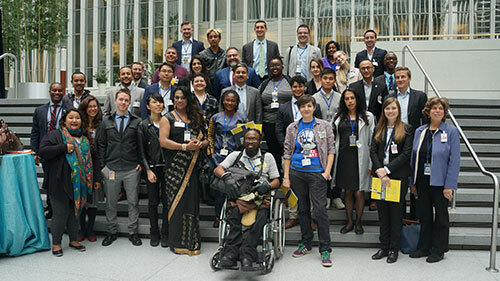 In a dynamic environment, these Global Innovators, including HRC staff, showcase projects and approaches that improve the lives of LGBTQ people in their countries and communities. The Global Summit provides a forum to exchange ideas for advancing LGBTQ equality, a network of Global Innovators, Fellows and partners to continue sharing lessons-learned in their advocacy work and an opportunity to meet with key policymakers and supporters of global equality. HRC Global Innovators and HRC Global Fellows are invited to apply for our partnership programs. Please visit these links to learn more about our Global Partnerships in Innovative Advocacy and Global Partnerships in Pride. 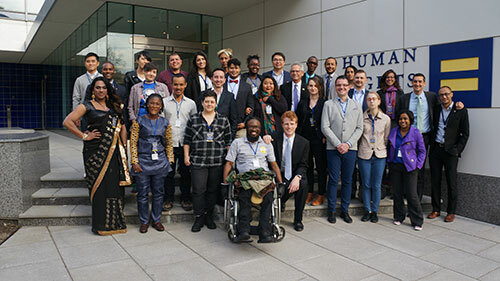 In April 2019, HRC brought 29 talented leaders from 27 different countries who are driving LGBTQ equality internationally to Washington, D.C. for four full days of learning, sharing and connecting with each other and HRC. 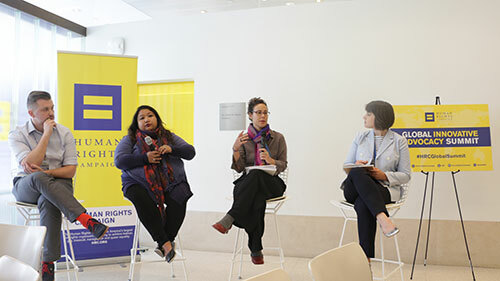 Participants shared personal and professional experiences and ideas to help them in their efforts to engage key stakeholders and allies in improving the lives of LGBTQ people in their countries. In April 2018, HRC brought 31 of the most impressive and creative advocates for LGBTQ equality in the world to Washington, D.C. for its third annual Global Summit. Over four days, the Global Innovators took part in intense discussions with each other and HRC staff on innovative ways to advance LGBTQ equality. They shared ideas, best practices and unique approaches to effectively build movements and advocate for equality, whether that’s through family, community or across borders. 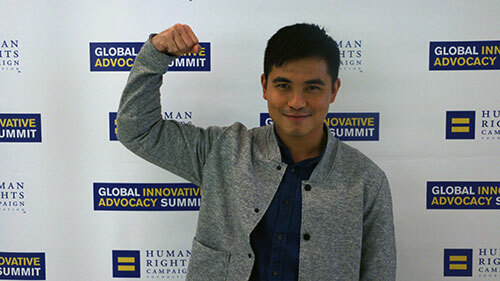 Meet HRC’s 2018 Global Innovators who share how they are changing the world for LGBTQ people. Alba Reyes from Colombia, who talks her source of inspiration to fight for LGBT rights and prevent bullying in her country (Spanish). Robel Hailu from Ethiopia, who had to flee his home country simply because he publicly discussed his sexual orientation and now looks to America as a place of refuge. In April 2017, HRC welcomed 30 remarkable Global Innovators from 28 different countries across five continents to Washington, D.C. for its second annual Global Summit. 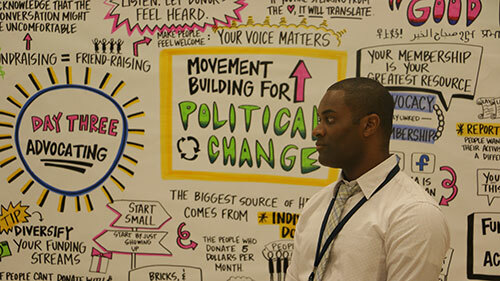 Over three days, the Global Innovators showcased projects and approaches that have advanced equality, particularly around daily themes of storytelling, innovating and advocating. The 2017 Global Summit Report gives more detail about the organization and themes from the Global Summit and backgrounds of the Global Innovators. Download and read our 2017 report here. Njeri Gateru from Kenya, who shares her experience learning from HRC and other global advocates at the Global Summit. Mima Simic from Croatia, who brings art and LGBTQ activism together in her country with creativity, imagination and humor, shares her experience at the Global Summit. Abhina Aher from India, who created an LGBTQ dancing troupe to raise awareness in her country about sexual and gender diversity. Laura Frida Weinstein Nisenbon from Colombia, who empowers transgender people to be leaders in their own advocacy efforts (Spanish). Laura Frida Weinstein Nisenbon from Colombia and Gabriel de la Cruz Soler from Peru share advocacy efforts for LGBTQ equality in their respective countries (Spanish). Gabriel de la Cruz Soler from Peru, who documents the lived experiences of the Peruvian LGBTQ community through the arts and social media to raise awareness. Gabriel de la Cruz Soler, un joven peruano que documenta las vivencias de la comunidad LGBTQ en el Perú a través de las artes y redes sociales para crear conciencia. In March 2016, the inaugural Global Summit brought together twenty-six established and emerging advocates for the exchange of ideas and practices for advancing LGBTQ equality. Highlights from the 2016 Global Summit. Andrea from El Salvador, who is a lawyer, shares her story of navigating the perils of so-called "conversion therapy" to starting her country's first lesbian-focused LGBT organization. Elvina from Russia, who works for the Russian LGBTQ Sport Federation, and discusses the harmful consequences Russia's so-called "anti-propaganda" law has on LGBTQ citizens. Jaevion from Jamaica, who works for Jamaica's oldest LGBTQ rights organization, discusses his country's high levels of intolerance toward LGBTQ people and the work he does to educate the public and combat hate. Qwin from Uganda, who discusses the struggles and dangers of being out and open in East Africa. The 2016 Global Summit Report gives more detail about the structure of the convening, how strategies were shared between advocates and the impact that the three days had on those who attended. Download and read our 2016 report here.